Which one is better: Kefir or Yogurt? Kefir and yogurt are both categorized as bioactive and cultured dairy products. However, the production process, taste and texture, and benefits of each vary greatly. Yogurt is believed to be one of the most ancient food products, first made in Central Asia between 9000 and 6000 B.C. The discovery or yogurt may have been a matter of chance by storage of milk in a warm climate or in animals’ intestines. The process was later learned from this discovery. 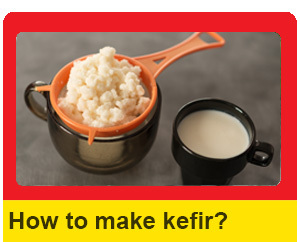 Kefir, on the other hand, has a much more mysterious beginning. Everyone agrees that the first kefir milk was produced in the Caucasus Mountains, but no one seems to know where the first kefir grains came from. They are especially unusual because scientists are still unable to recreate kefir grains despite knowing their composition. Yogurt is produced by adding a small amount of yogurt to milk. For many types of yogurt the temperature must be raised and controlled in order for the process to be completed properly. 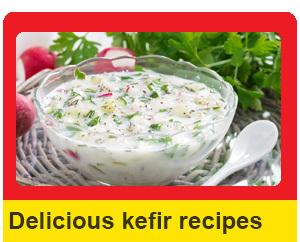 Kefir is made by putting kefir grains into fresh milk and allowing it to ferment at room temperature. The grains multiply during the culturing process leaving more for further kefir making. Like yogurt, kefir has a tang to it. However, while yogurt is creamy and thick enough to eat with a spoon, kefir generally has an additional yeasty taste and can be sipped from a glass. The kefir tang is sometimes unpleasant for untried tongues, but one quickly becomes accustomed to the tart flavor. Yogurt provides many probiotic benefits. The good bacteria in yogurt help to cleanse the digestive system and feed the bacteria already present in the body. 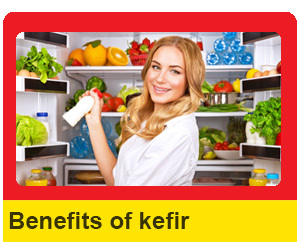 Kefir also does this, but at the same time has additional bacteria and yeasts which can colonize the digestive system. The range of bacteria and yeast means kefir has a wider range of health benefits, both probiotic and prebiotic, for the user.